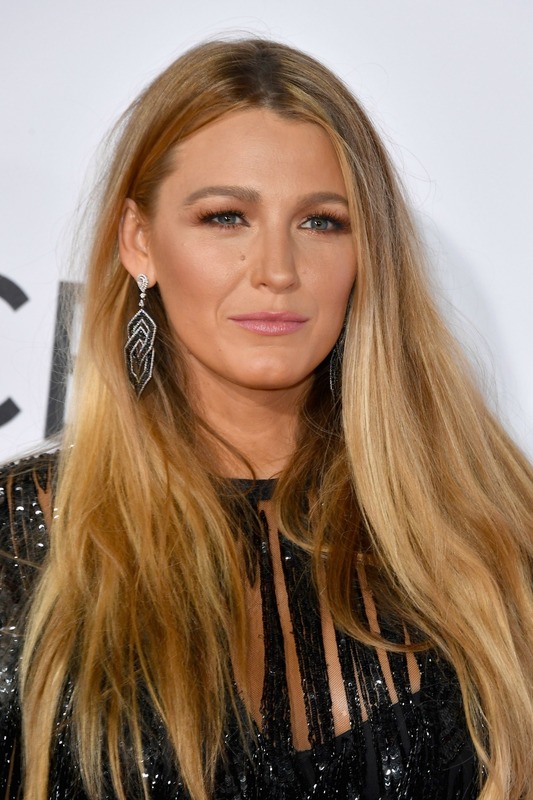 We love ourselves a good fashion red carpet event and with the People’s Choice Awards happening right now, we couldn’t be more thrilled with Blake Lively’s black swan inspired gown! It hasn’t even been four months since she gave birth to her second daughter, with husband Ryan Reynolds, and girls looks GEWD. The 29-year-old actress arrived on the red caret for the 2017 People’s Choice Awards with her sister, Robyn Lively, a fellow actress, and we couldn’t help but notice her gown was giving us total black swan vibes. It’s black, it’s frilly (almost feather-like), and it’s our favorite thing right now. The Elie Saab gown is full of sparkle, fringe and has just the right amount of cutouts to give it that red carpet feel. She paired the dress with gold, silver and black pumps and statement earrings that complimented the entire look. For her makeup, Lively has a bold, thick brow, a smoky eye, and subtle pink lips. The actress let her tresses do their thing, which we love (no updo headache!). Before arriving on the red carpet, Lively shared a post on Instagram thanking her glam squad for helping her get ready for the red carpet. “Thank you @lorealmakeup @kristoferbuckle @rodortega4hair @lorealhair for making me look like I slept more than 2 hours last night. #breastfeedingmama ,” she wrote in her caption.